lectin phytohaemagglutinin, which otherwise causes stomach upset........pressure cooking the beans for 10-12 minutes is the best way to cook them, and more importantly kidney beans should never be sprouted for salads, and the same rule goes for urad dal or black beans too. The recipe is simple, the beans are soaked overnight or for around 4-5 hours....and then pressure cook with water and salt till 2 whistles of the pressure cooker. Heat oil in a pan and quickly pulse the onions in the grinder to make a rough paste n put in the hot oil......lower the heat and throw in a tsp of salt so that onion cooks faster.....meanwhile make a fine paste of ginger garlic in the grinder and add into the frying onions .......while stirring this, make a paste of the chopped tomatoes too........add all the powder masalas into the pan with a tbsp of water n keep stirring till fragrant.......add the tomatoes n cover n cook till tomatoes are cooked.......pour in the rajma mixture n chopped green coriander and simmer for about 10-15 minutes on low. Although it can be quickly boiled for a couple of minutes if you are in a hurry. 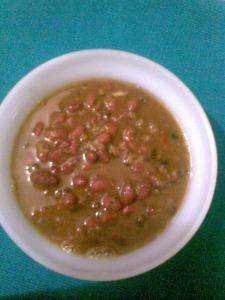 everyday subzi/curry for the dieters healthy meals kidney beans maah rajma rajma special curries made healthy these foods helped me loose wt. Tell him it is Jackie Chan's favorite food. Health secret in fact.